Edwin Stokes, Stage One materials specialist and Fluxaxis 3D printing expert takes his cycling rather seriously. Most of us are content to spend our summer holiday relaxing on a beach. 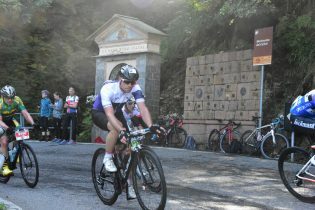 Edwin, however, has just returned from competing in the amateur UCI Gran Fondo World Championships in Varese, Italy. Don’t be misled by the word amateur. 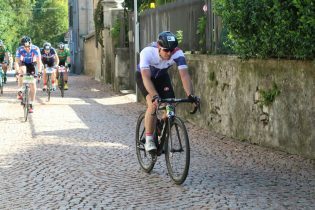 This race is highly competitive and sees the riders complete a 130km course that includes 1,950m of climb, the course winding its way around lakes, through shady forests up multiple climbs and zig-zagging descents, culminating with a climb to the finish line in the town of Varese. This year 3,175 cyclists took part, with entrants from all over the world. All must complete domestic qualifying races in order to compete for their country with Edwin completing the Tour of Cambridge in a sufficiently fast time to represent TeamGB. Excitingly, the Professional UCI Road World Championships will take place closer to home in Harrogate next year. This huge event will see nine days of races next September and will be the first time that Britain has hosted cycling’s premier international event since 1982. All centered around Edwin’s home town.